Crochet is an awesome hobby that is practical and fun. Sometimes you only have a small window of time to devote to your hobby, that’s where granny squares come in! In as little as an hour you can finish a granny square, and nothing beats the satisfaction of seeing your finished piece. If you only have a little time to work on your crochet projects, creating granny squares is a great choice. Granny squares come in multiple sizes and designs, and they are easy for beginners. There is a plethora of items you can create using granny squares; from blankets to cushions, granny squares are versatile and useful. 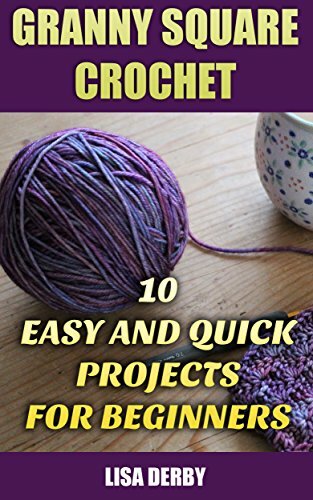 The granny squares in this book are turned into projects you will love. Once the squares are complete, it only takes a bit of time to sew or crochet them together. Once you finish your first granny square project you will be in love with grannies!